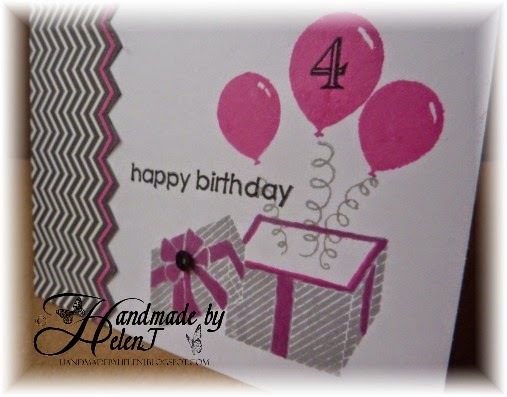 One of my favourite challenge blogs, Less is More, celebrates its 4th birthday so what better way to mark the occasion than to make them a birthday card? The theme is pink & grey, and I’ve combined this with the current sketch over at Case this Sketch. 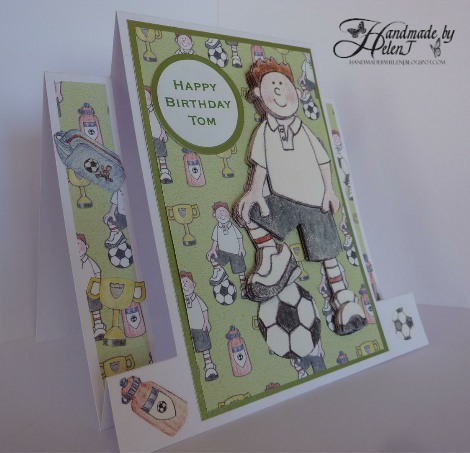 Two things about this card are unusual for me: one, I knew exactly how I wanted it to look and two, I was able to devote enough time this morning to making it! I started off with the Clearly Besotted “Full of Surprise” present & balloons. The present was stamped in Hero Arts Soft Granite, the balloons in Picked Raspberry Distress Ink. I then painted the ribbons to match. 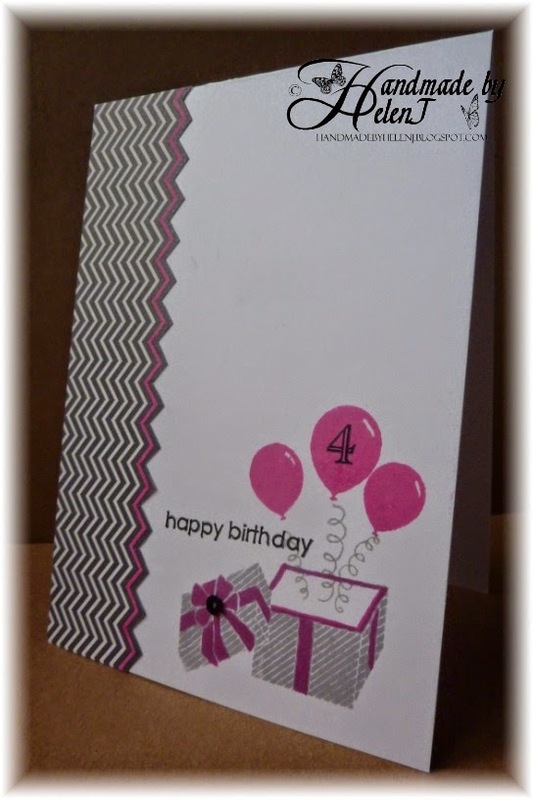 The number 4 (by Kirsty Wiseman for Personal Impressions) and the greeting (maker unknown) were stamped in Memento Tuxedo Black. The paper by Teresa Collins was fussy cut, then I painted one of the stripes in Picked Raspberry, and the edge in Wink of Stella which unfortunately doesn’t show up in the photos. I finished off with a black sequin in the centre of the bow. 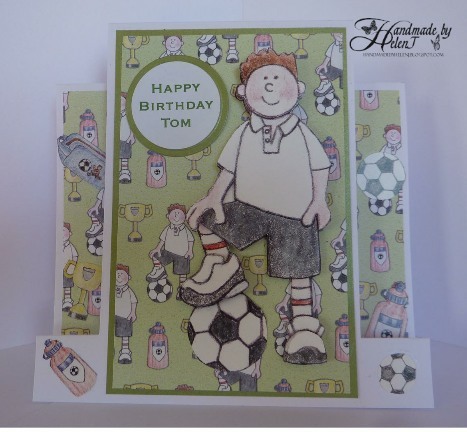 Happy Birthday Less is More – long may you continue!